The return of Baroque freedom. Movements once lost and now found. The dance begins. The familiar 6 French Suites have catalogue number BWV 812-817, and they were composed between 1722 and 1725. In fact, around 1722, Bach had already composed a group of 6 Suites, which contained BWV 812 to 815 (the actual French Suites 1 to 4), preceded by BWV 818 and 819. Later on, from 1723 to 1725, Bach added the Suites BWV 816 and 817 to the list and eliminated the BWV 818 and 819, which were the youngest works. Moreover, Bach also decided to erase some movements, which were part of the known French Suites, for a question of duration and symmetry. For instance, Suite No. 4, BWV 815, was introduced by a Prelude and contained two Gavottes: Bach eliminated the Prelude (because all the other new Suites were introduced by Allemandes), and the second Gavotte, for a question of duration. Not only has Stefano Greco restored the two “erased” Suites BWV 818 and 819, but he has also added the erased movements, positioning them in the original place where they were intended to be. Also, he analyzed all the existing manuscripts, comparing all the differences. When playing the repeats, in the Baroque tradition, they used to change the embellishments and the fiorituras. 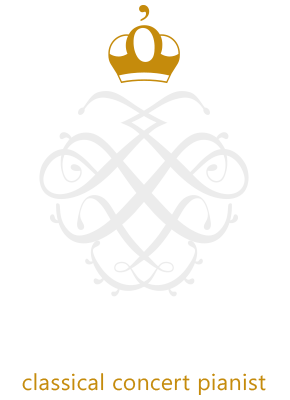 Stefano Greco changed according to the differences he could find in the manuscripts. This way his interpretation, in spite of showing variety, utterly respects philology and the composer’s intentions. Stefano Greco’s performing style is inspired by harpsichord execution. In other words, Greco brings to the piano the lightness, the richness of fiorituras and the freedom that were typical of baroque performances, also recurring to improvisation. Bach himself was an incomparable master in improvisation, which long time ago was a very common practice. J.S. Bach: French Suites Nos. 1, 3, 5, 7. J.S. Bach: French Suites Nos. 2, 4, 6, 8. Duration: 120 minutes + talk.